The waters of Berau regency is the 8th largest habitat of the Green Turtle (Chelonia mydas) in the world. Not only the Green Turtle, the Hawksbill Turtle (Eretmochelys imbricate), considered as the most endangered sea turtle species, can also be found here and it has become an icon for the people of Berau. 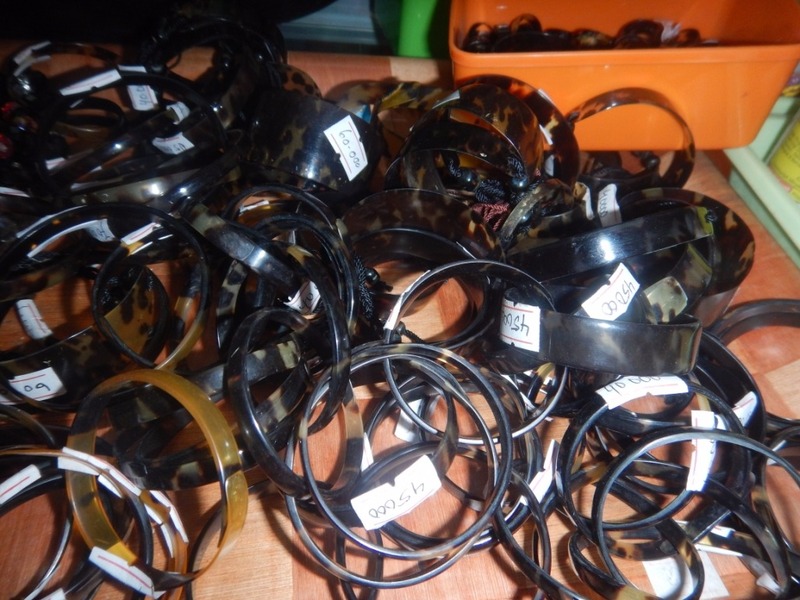 Even so, sea turtle exploitation is still rampant in Berau, particularly cultivation of Hawksbill Turtle's shell for accessories like bracelets, rings, and pendants. In addition, stuffed Hawksbill Turtles are also available in the market. PROFAUNA Borneo's monitoring on 28 July 2016 revealed that a shop, Eksklusif Aksesoris, in Tanjung Redeb still selling sea turtle shell-based accessories. On the other side of the town, the team also found two stuffed sea turtles displayed at the lobby of Hotel Plaza. Two days after, PROFAUNA Borneo paid another visit to talk about laws concerning sea turtle protection at the aforementioned shop and hotel. PROFAUNA also encouraged them to hand off their illegal possessions to Berau Nature Conservation Agency. The suggestion received a positive response from Eksklusif Aksesoris and Hotel Plaza, as PROFAUNA Borneo's recent monitoring see that both places no longer sell and display their sea turtle products. "We highly appreaciate Eksklusif Aksesoris and Hotel Plaza's volition to stop selling and displaying sea turtle shell-based accessories because all sea turtle species are protected by laws. Sea turtle protection, especially in Berau, required participation from all walks of life," said Bayu Sandi, the coordinator of PROFAUNA Borneo. Meanwhile, in Derawan islands PROFAUNA Borneo's field observation found no less than 20 shops still selling sea turtle shell-based accessories. This is disturbing because earlier in March 2016 officials from the Ministry of Marine Affairs and Fisheries had inspected the place and confiscated hundreds of sea turtle products from the shops. "These people started selling sea turtle shell-based accessories again soon as the officials from the Ministry left Derawan," added Bayu.